OPPO, the leading global technology brand, is all set to launch its latest selfie technology with a spectacular design. OPPO brings for its consumers the new entry-level A37 which is equipped with two-high performance cameras, power-packed with an upgraded ColorOS 3.0, making it a superb all-around experience for users. The A37 will be launched in India on the 1st of July, priced at INR 11990. 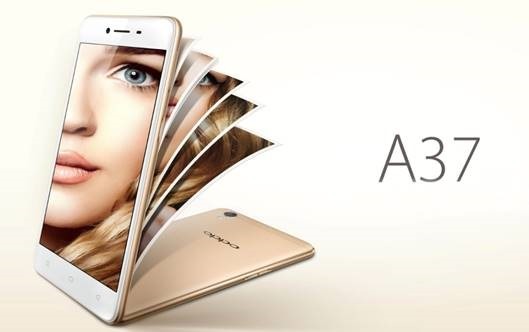 The OPPO A37 will be available in two Colors: Gold and Grey. 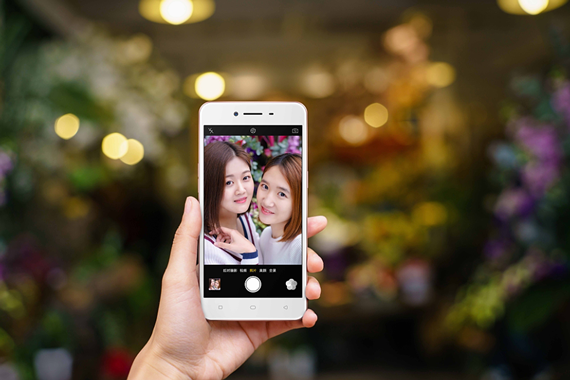 The A37 brings users an outstanding selfie experience, even in low-light conditions. It uses a 5 MP front camera with a 1/4-inch sensor and OmniBSI+ (backside illumination), while its extremely large 1.4μm pixels, the biggest available in this price segment, increase light sensitivity and reduce noise. Coupled with the Screen Flash feature, which emits a flash from the display, these features ensure that the A37 takes bright and natural-looking selfies in any condition. The Beautify 4.0 technology has been optimized using data from millions of users, and now supports 7 different levels of intelligent beautification, with two modes for different skin tones. This allows the A37 to capture your best look at any moment. 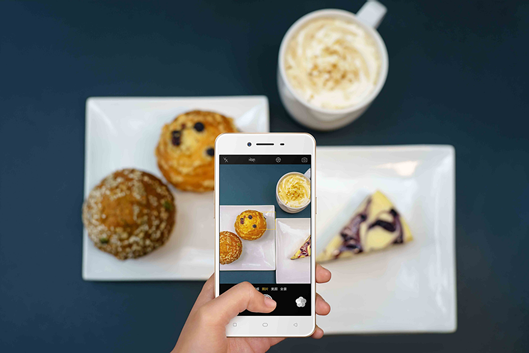 Beautify 4.0 makes for perfect selfies. The A37 sports an 8 MP rear camera with a 1/3.2-inch back-illuminated sensor and the same large 1.4μm pixels as the front camera, for maximum light sensitivity and minimum noise. The large pixels also work to bump up the dynamic range and give pictures a vivid depth. Meanwhile, with Ultra-HD mode, the A37 shoots five photos consecutively and combines the best parts of each, creating 24 MP photos with breathtaking color and detail. To avoid accidental shakes when a user’s arm is outstretched to take a selfie, the A37 features Palm Shutter. By simply waving a hand in front of the camera, users can activate an automatic photo countdown, with a customizable duration. The A37 also comes packed with 9 awesome filters and a host of shooting modes, including Double Exposure and Slow Shutter, opening up endless possibilities for creativity and style. The A37 sports a high-performance camera to capture wonderful moments in your life. The A37 evokes a sleek, understated elegance. Its 5-inch display is covered in 2.5D Corning Gorilla Glass 4, giving a premium look without sacrificing premium durability, while the flawlessly smooth rear surface is expertly calibrated for a comfortable, stable grip. Fitted with an internal high-strength magnesium aluminum alloy framework, the A37 weighs in at only 136 grams. It’s an impressively balanced weight, giving the phone a beautifully light, but never insubstantial, feel. The eye-catching device comes in three lustrous metallic colors: Gold and Grey. The A37 features a sleek and stylish design. The A37 cruises on 2GB RAM and a quad-core 64-bit Snapdragon processor, for a seamless multitasking experience. It supports 16GB ROM, expandable by another 128 GB, giving you plenty of room for all of your favorite media and memories. 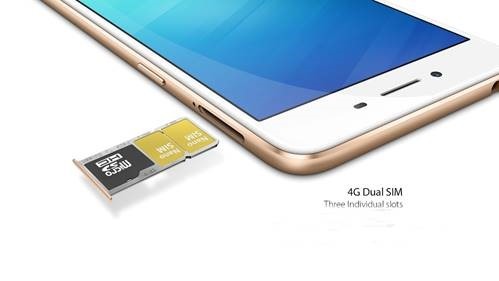 An expandable memory slot sits alongside two additional 4G SIM slots supporting speeds of up to 150 Mbps. Keeping life balanced is a breeze with the new triple-slot tray. The A37 uses OPPO’s all-new ColorOS 3.0, fully upgraded for faster, smoother and more efficient performance. Combining a leaner design and purpose-built optimizations for a range of common use scenarios, ColorOS 3.0 has a running speed that’s more than 20% faster than the previous ColorOS 2.1. ColorOS 3.0 is also customized for power-saving, with an automatic cleanup feature that adapts to user habits to keep their battery going strong throughout the day. ColorOS3.0 supports a special Privacy Protection feature, allowing users to easily designate any contacts, apps, files, or other content as private. Then, when users activate the feature (for example, when lending the phone to a friend or colleague), all private info will be hidden automatically so the user can share the device without any worry. The A37 also inherits OPPO’s legacy of premium audio experiences. With Dirac HD Sound, users will enjoy audio that’s as close to the original performance as possible.